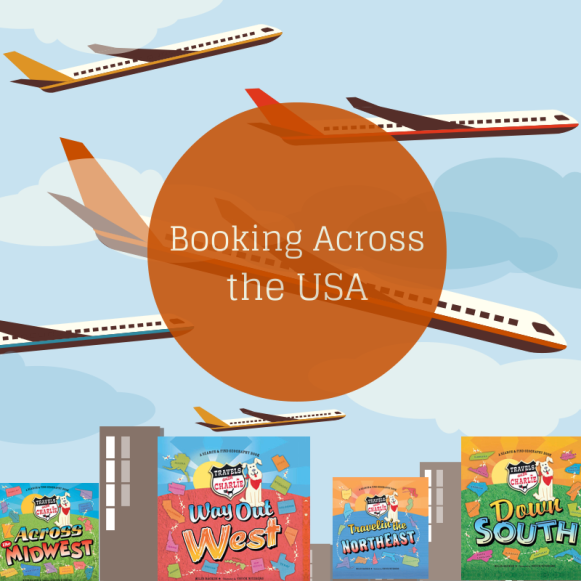 Welcome to Booking Across the USA! I am so honored to be presenting my adopted home state of Colorado alongside 49 other wonderful bloggers sharing their states through the "Travels with Charlie" series from Blue Apple Books. 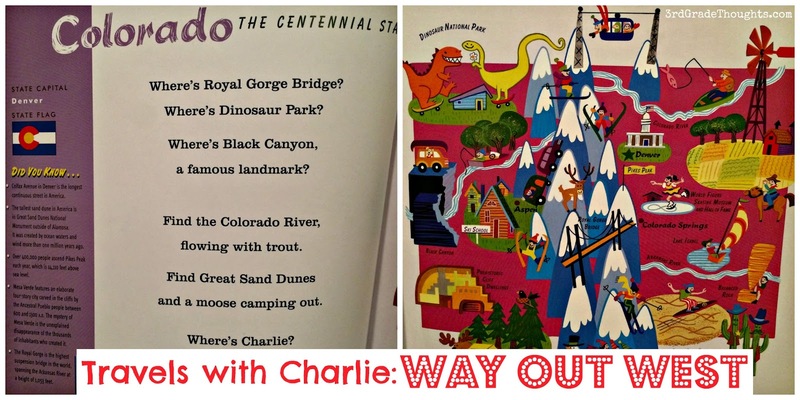 Colorado is found in the Way Out West book and contains fun facts, beautiful illustrations and a poem highlighting our famous landmarks. 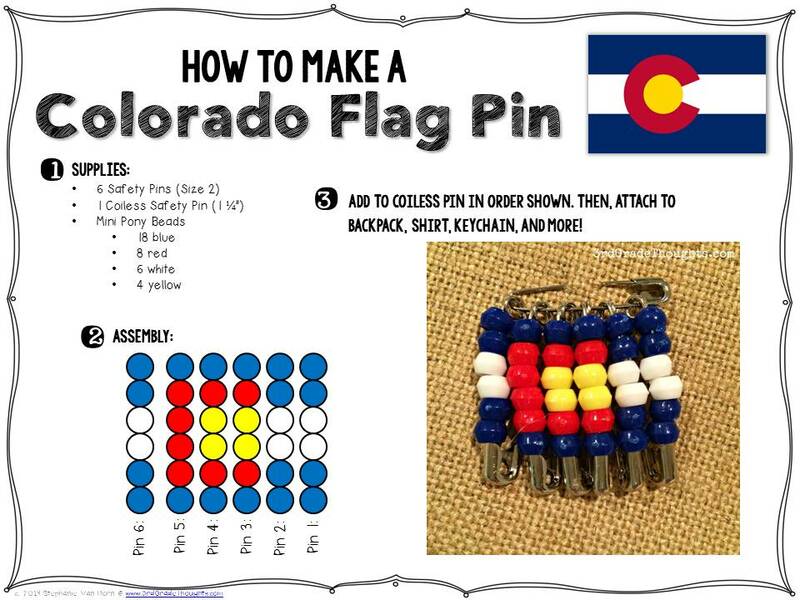 When we used to study Colorado in our Social Studies curriculum, one of my kids' most favorite projects was to make a Colorado State Flag Pin and I thought it would be the perfect tie-in with this book! Our state flag's colors represent all that our beautiful state has to offer, from the blue skies to the white snow, so it's a wonderful craft that can be hung from their backpacks the whole year as a souvenir of learning! To pick up the easy-peasy directions, click HERE or the illustration below. I projected these in our classroom and we created them whole-class, step by step. 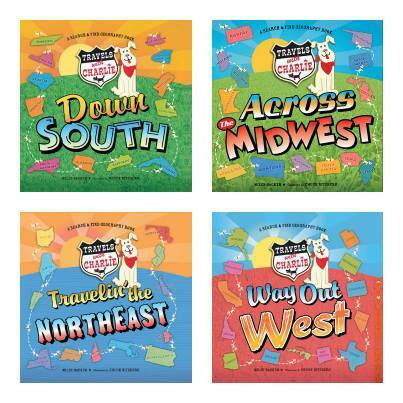 I hope you enjoyed stopping by and be sure to check out all of the other 49 states HERE. I never knew there was a Kool Aid museum (Nebraska). I learned how to make a sunflower from a cookie - Kansas! 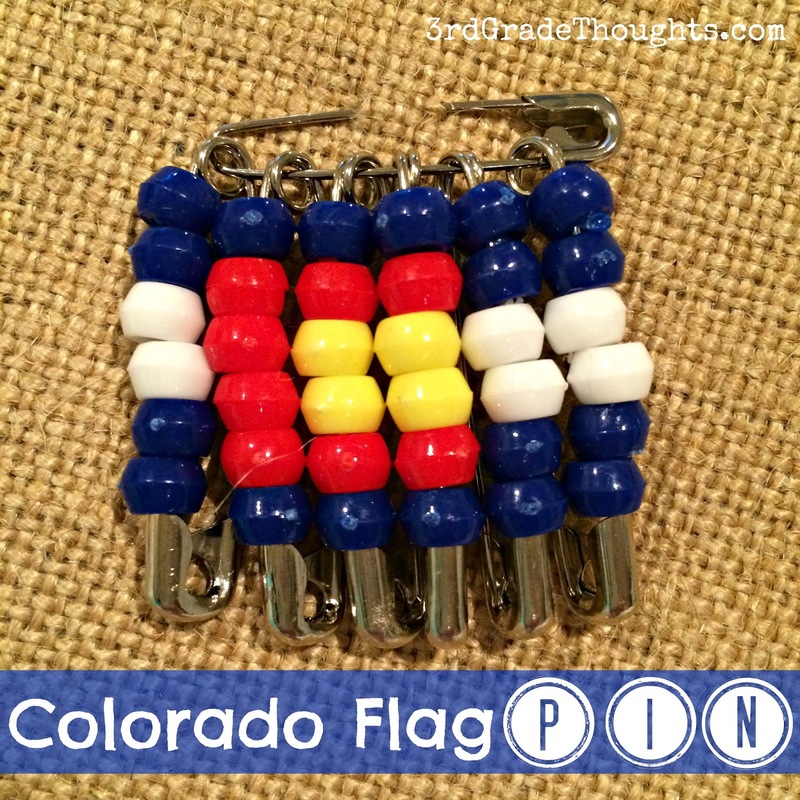 Thrilled to find the link to the state flag printables. Have all ready downloaded for use with our personalized Maine books we are making. Love the pins! What a great idea! This is sooo cool. :) Pinned! Love, love, love the flag pins. What a great idea! Thanks so much for being part of the Booking Across the USA project.